Although many marriages are unable to survive infidelity, some do – and many of the surviving marriages emerge stronger after the crisis of infidelity. The first course of action when you learn about your partner’s infidelity is to find a professional therapist who can be with you as you try to cope with the emotional turmoil that accompanies this crisis. You will need to make rational decisions in a tumultuous time, and, depending on whether your decision is to end the relationship or to salvage it, your therapist will help you to go through the stages of the decision-making process in a supportive and confidential way. Many of you have no experience in how to rebuild your life after devastation occurs, and therapeutic support is an invaluable part of the process. You need to examine why the affair occurred and then to make a decision about whether you feel you can remain in the relationship or not. 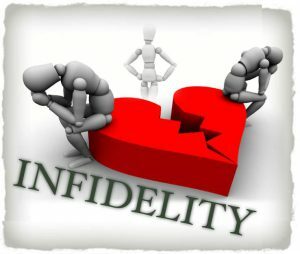 You need to examine your partner’s motive for engaging in infidelity. you need to see how the affair is going to affect the relationship in the future, and whether you can live with that. You need to decide whether communication can be enhanced, or not, in the event that you decide to repair the problems. You need to examine both the positive and negative aspects of a divorce (in general, divorce is a profoundly painful experience for most people, including children).